The red carpet was pinned down and the balloons were lifted high in a net that looked like the Good Year Blimp. Every table was covered in black table clothes dotted with red napkins. 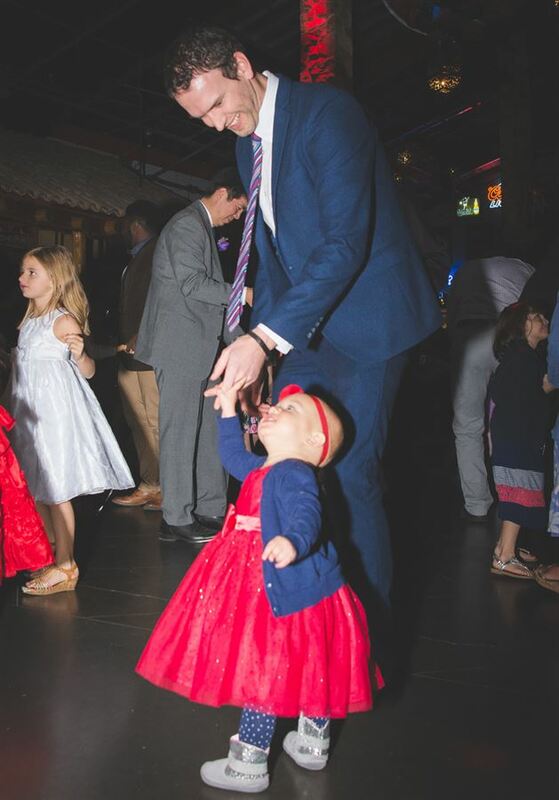 It was the first Daddy Daughter Dance that my radio station was going to be hosting. The closest thing I had planned like this was a fundraising dinner, but this was for dads and their precious girls, a celebration in honor of their relationship and the importance of their love. The paparazzi were in place and as the clock struck 6 o’clock the cameras clicked in sync sounding like a rhythmic beat. Comments of praise showered the girls as they walked the red carpet hand in hand with their dads. I was in awe. Dads beamed with pride as they escorted their little girls into the dance. Every girl had perfect corsages, complimenting their flowing dresses. And what’s a princess without a crown? It was a night for tiaras. Dads were dressed to the nines some in tuxedos arriving by limousine. Every girl was special. Royalty. The girls made a b-line for the glam station. That’s where the glitter flowed and so did the lip-gloss. Dads waited with patience, affirming their girls’ incredible beauty. Girls rushed the dance floor and every dad followed. Even when the girls wanted to Whip a Nay Nay, some dads didn’t miss a beat. Others clapped and cheered their girls on. This night was all about the girls. The attention was paid to her. You could tell these dads were all in, even if that meant making multiple trips to the photo booth or loading up on cupcakes. I circled the room as the night went on witnessing one dad parked at the star station, this was a spot where girls could craft and personalize their own giant gold stars. This one dad had managed to position himself against the wall just so, having a clear view of his daughter. He had a front row seat, capturing her joy and being in the moment. Applauding her masterpiece. As the sun set over the lake girls ushered their dads out on the patio to catch a glimpse as the sun slipped over the edge, snapping photos and taking selfies, giggling together. Every girl should experience such love by her dad. The kind that makes you know, that you know, that you know, you are royalty and that you are worthy and special in every way, a one of a kind. The kind of love that’s patient, accepting, and encouraging. The kind of love that says whatever you want tonight, it’s yours honey. How precious 🙂 This post had me smiling over and over again! How wonderful to get to observe all the love. This is beautiful! I’ve always loved the idea of Daddy Daughter dances. Although I’ve never been to one the relationship between my dad & me is pretty great, so I love seeing that others are able to enjoy special moments like these.